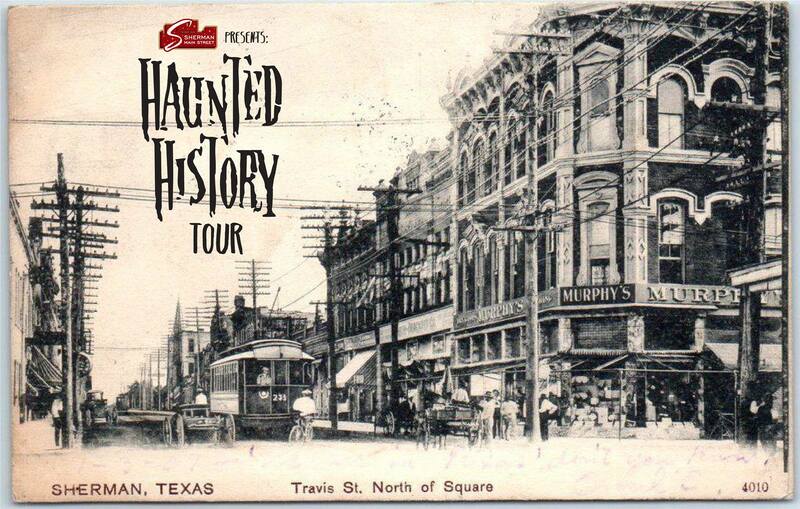 Embark on an adventure across historic downtown Sherman with our Haunted History Tours! Join us as we journey through a chilling series of true events and strange happenings throughout Sherman's history. From disappearances to ghost sightings, poltergeists to unexplained phenomena, come see for yourself at the crossroads of certainty and mystery! All our tours now feature stopping inside at least one of our spooky destinations for exploration and refreshments.